malpractice. The lawyers at Maryland’s Shulman Rogers have a long history of fighting for the rights of the youngest victims and their families. If your child has been injured as a result of misdiagnosis of disease, contact our office for a free consultation. 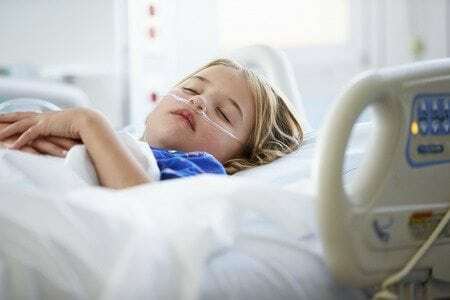 Failure to diagnose/misdiagnosis: Serious childhood diseases such as meningitis, appendicitis and leukemia can often be mistaken for less grave conditions. If this results in a delay of treatment or other complications, you may be able to recover hospital bills, emotional suffering and other damages. Medication errors: The wrong medication or an incorrect dosage can have a serious and long-lasting effect on a young patient. Incorrect ordering, administration, transcription or dispensing may result in medical issues that are expensive and stressful to resolve. Physician negligence: More broadly, pediatrician negligence refers to any failure to deliver an acceptable standard of care. In today’s overworked clinics and hospitals, it’s not uncommon for caregivers to fail to allocate sufficient resources to patients they view as lower priority. If your child hasn’t been receiving the care you think they should, contact our Maryland medical malpractice attorneys and let our team review your case. Regardless of the specifics of your case, it’s important to speak with an attorney as soon as possible. The decisions you make early on in the process can have a significant impact on your ability to be awarded compensation for your child’s illness or suffering. Medical expenses, including hospital bills, prescription medicine, physical therapy or rehabilitation, and more. Punitive damages, including emotional pain and suffering incurred as a result of your child’s illness. Lost wages as a result of taking time off work to care for your child or attend to their medical needs. One of the best things you can do following the discovery of a misdiagnosis of disease in a child is to prepare a complete accounting of all expenses incurred as a result. When you work with a Shulman Rogers attorney, we’ll help you identify what you can potentially claim. When your child is suffering from a serious illness, you need to be present to provide them with the care and support they need to recover. Legal action is simply a way to protect yourself financially and it shouldn’t be a source of additional stress. That’s where Shulman Rogers comes in. With a focus on transparency and communication, we’ll give you an honest picture of your options and help you take steps to get the compensation you and your child need. Call today and find out for yourself why we’re a leader among Maryland medical malpractice attorneys for clients of all ages.